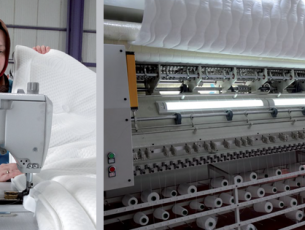 Having been producing fabrics for mattresses and other products for 30 years, Özay Group signed a cooperation agreement with Harput Tekstil. With the new brand Gecce both companies focused on exports. Hilal Ozay Bahar, member of the board and production manager of Özay, informed about their targets and investments. How was this cooperation realized? We have been producing covers for mattresses for thirty years. Harput Tekstil has started to produce knitted fabrics as well, by investing real amount of funds. We found a good niche in the markets abroad. So both companies will complete each other. We even wanted to expand this cooperation by developing a common brand, Gecce. We are working on this brand. We saw that the brand names that have double letters are seen more attractive. It has also an association with “night” in Turkish, “gece”. You mentioned a serious potential in abroad. Can you give some details about them? Actually, the whole world is a market. We studied all, large or small, from America to Saudi Arabia. Presently, we are active in Belgium, Holland, Austria, Hungary and Poland. Germany is a major market for our products. What are your targets in exports? England is the most important market for us, because it has a serious consumption potential and we did not entered in yet. We aimed to enter new markets and to improve our position in the markets we were in. We have to compete with Turkish companies who want to enter the same country and the producing companies active in those markets. Do you have plans to enter the mattress industry? Actually, we are familiar with the mattress industry. Ten years ago we had been producing mattresses and bases. Then we trimmed this operation. Now we are activating it again. 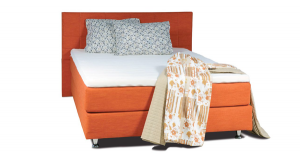 We will focus on box spring sets, that is, so widespread in the markets abroad. Cases, bed heads and mattresses will be offered to buyers. 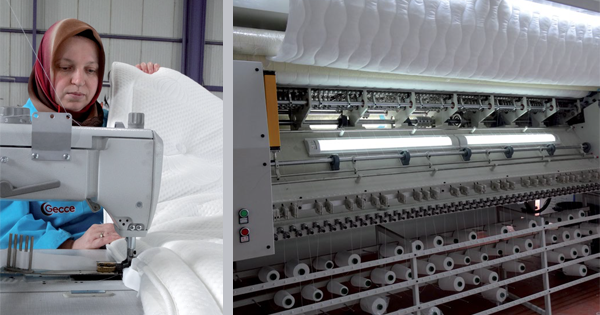 We started to manufacture spring and foam type of mattresses for domestic market. Mattress industry is a specific field. Our mattress production volumes are highly limited presently. But, next year our factory of 1,500 sqm, that we invested about 500 thousand Euro, will be operational to produce mattresses, bases and head sets. Number of personnel was doubled in two years. 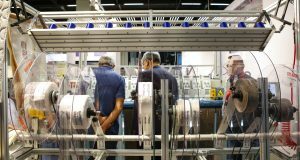 Numbers of stitching and functional machinery are on the rise. We try to automate some of the operations with an aim to reduce labor needs. Functional sections are integrated through these automations. We planned to complete all the works of cooperation by the year 2017. 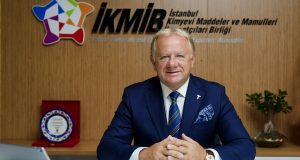 What is your opinion about the situation in mattress industry in Turkey? Mattress covers is still be understood by the market and the companies. We are becoming familiar of these products. Mattress is known well by every body, yes, that’s true. But, even in my close circle, many people do not aware of the concept of and what the mattress cover is. 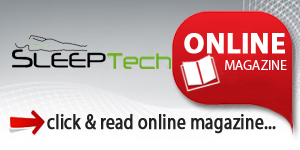 The sleep industry in Turkey has become a good position with both their producers and brands. What do you offer about overcoming the lack of awareness about bed covers? How do you explain your products? I am in the opinion that, we spend the least amount for promotion of the product. We did not spend on advertising. We targeted to export markets, not the domestic buyers. 90 % of our production is exported. However, domestic market begins to grow, so, we will emphasize on it. Our product is a good solution for women who care about their homes. They like to wash every thing. They will also like to remove the mattress covers and to wash them, because they love to be clean. We offer them both complete covers for beds or only top covers.